Leading recruiting firms use employAstar to improve recruiter productivity, and manage the entire recruitment and applicant tracking process. What are the benefits of having recruitment software? Firstly it makes you a better HR, either individual or team, as it reduces the duration of recruitment procedure significantly. Secondly it reduces the amount of investment that goes on a generic recruitment process. Thirdly it reduces the administrative duties, as it monitors the filtering, ranking, tracking and storing of the candidates and fourthly it increases the quality, as it provides the HR team the essential time that needs to be invested on identifying the talent by going through all the minute details. The next question that will come to your mind is that where can you get such services. 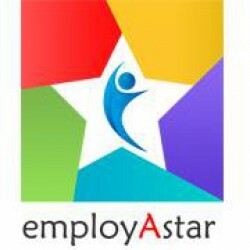 We at employAstar, provide you with such services and much more than you can comprehend. We are not boasting ourselves just because we are in the market but because we have proven our expertise from last 15 years. The highlight of our system is the most advanced ATS used by us, which is based on the world’s no.1 CRM platform, i.e. Salesforce. On the top of everything you get a system which provides security features of optimum level, thus maintaining the confidentiality of the data. We even have a dedicated feature known as Roles And Permission, which lets you maintain the accessibility of data based on your departmental and hierarchical preferences. employAstar resume parsing can extract the information in an organized way from any document regardless of the format. employAstar resume parsing is an integral component of the employAstar recruiting services, which is based on salesforce, world’s no.1 CRM Platform. Being backed by such a powerful platform makes our resume parsing services more powerful and lightning fast. After the information is extracted from the documents they are presented in an organized format on a user interface.